This is a very basic example to show that binding ListView is really easy. As you can see using SqlDataSource object is very neat and simple! 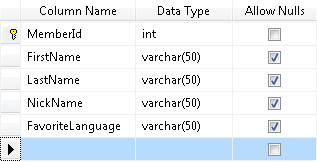 If you want to go further let’s see how to fetch the same data without DataSource object. Well that’s it. Sorry if you expected more.